There was a time when new on the 2017 IT was coming so thick and fast we all had to put on yellow galoshes and start shouting at drains just to get it all under control. But official news has been pretty dry since the first film hit cinemas. Whilst casting and shooting was covered very so lightly, Warner Bros. have been keeping their evil clown sequel very close to their chests. Well Screen Rant made it to the 2019 CinemaCon, where Warner put on a bit of a show for it’s first big promotion of the film. The follow description sounds like the chapter from the book where an adult Beverley Marsh (Played by Jessica Chastain in the new film) visits her child hood home, only to encounter IT; who first takes the form of a kindly old lady, and then changes into the Witch from Hanzel and Grettell. The scene starts with Beverly knocking on the apartment door, but instead of her father, an old woman answers whom Beverly doesn’t recognize. “Dear it’s not for me to tell you this but your father passed away,” the old lady tells Beverly. The woman then invites Bev in for a drink, asking her if the apartment is like she remembers. “It’s much cleaner,” Beverly replies. The old lady goes to make tea and Beverly, looking around the apartment, finds an old blood-covered letter that leads her to flash back to a happy memory from childhood. The old lady then brings the tea and puts on music. Beverly looks at a window and notices a bunch of bugs gathering there, and the old lady apologizes for the heat, saying “It’s that time of year.” The woman then utters the strange statement, “No one who dies in Derry ever really dies,” confusing Beverly. The old woman then stares off for a moment, wearing a creepy smile (our first hint that the old woman is really Pennywise the Clown in another of his forms?). The woman suddenly comes to and asks Beverly how it is to be back in Derry again. Bev says it’s strange and the woman asks her how so, but their conversation is interrupted by the buzzing of an oven. The old woman is making cookies and insists Beverly stay and have one. As the woman goes to get the cookies, Beverly looks at some old portraits on the wall. She asks about one particular picture of the woman’s parents. The old lady tells Bev her father joined the circus. Bev looks at some more old pictures and the woman in the background suddenly snaps out, showing supernatural speed, peeks at what Bev is doing and then disappears back into the kitchen. As Bev takes note of another picture of the old lady’s father in the circus, the woman again appears in the background, moving with creepy speed. The woman then tells Bev she was “Always daddy’s little girl,” and asks her guest “What about you. Are you still daddy’s little girl, Beverly?” Of course, Beverly was horribly abused by her father in the first film, so the question itself is creepy. The old lady then charges in, making a horrifying sound. It sounds like IT: Chapter Two is defiantly going to be darker and more intense than the first film, and we can’t wait to see more soon, as teaser or trailer should be dropping very soon. You’ll float September 6th 2019, when the film pops into your local cinema! Join Us For More Horror! Hello horror fans. 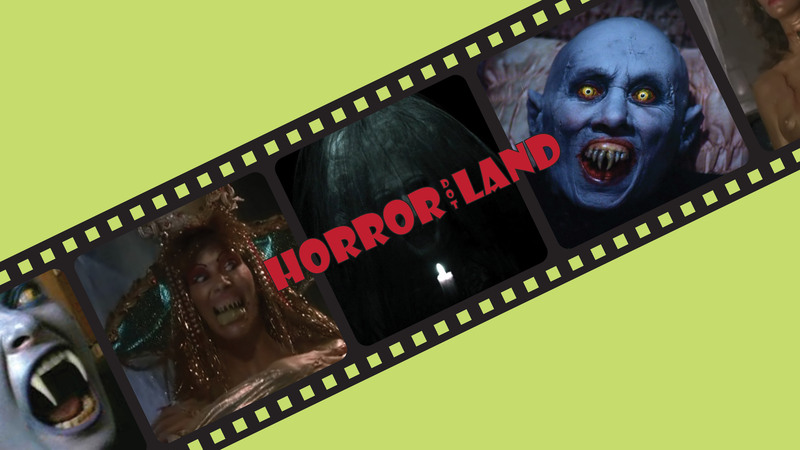 Join our mailing list to receive your monthly dose of horror entertainment!